Frobishers are an established North West based firm of Chartered Surveyors who regularly engage in survey, defect analysis and valuation work of residential, commercial and industrial properties, for a combination of private and corporate clients across the region. 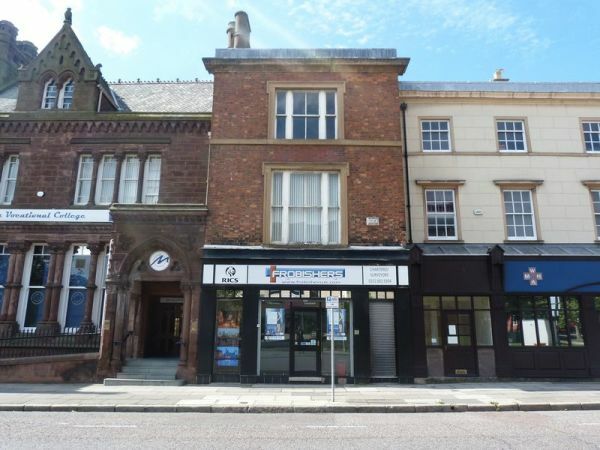 We are based in Birkenhead, in the heart of the area's commercial district in Grade II listed premises, a short distance from wherever we need to be. With a number of Chartered Surveyors on staff, two of whom are RICS Registered Valuers; Frobishers are able to undertake specialist valuation and rent review works, as well as offering their expertise for business valuation purposes where required. Our experienced team provide bespoke advice to ensure we are adding value to all of our clients. The firm was established in 2013 and relocated to it's current premises in June 2016, following a course of refurbishment works. We have steadily expanded our team and always look to add the right individuals who can help to drive us forwards. We recently completed a defect identification project in Salford, where we carried out two phase inspections of over 300 apartments for an investment client. We discovered over 2500 defects which the developers put right prior to completion by our client!